Our philosophy at W.I.D.E. Elementary School is dynamic and multifaceted. All domains are interconnected and centered on the experiences and understanding of the children. True comprehension of our school and vision will involve being actively engaged in the learning process and being open minded. Please take the time and effort to read through the extensive information provided in the entire website. We provide the richest learning environment possible through a balance of child-directed Project Based Learning and the acquisition of academic skills. Through child-directed project work, children wonder about various topics (often getting inspiration from their environment), direct their learning by formulating questions and plans to find out answers, and ultimately discovering answers or formulating new questions collaboratively. Throughout project work, children are applying and learning academic concepts. When children are given the freedom and time to explore and think for themselves, they will inevitably probe deeper into their topic and gain a true understanding of the subject matter. This type of learning is critical for children to develop a strong sense of self. When children are in the driver's seat of their learning they are fully motivated and engaged. They are able to constantly practice the entire process of Wondering Investigating Discovering and Educating themselves! It is a true gift for children to own a part of their educational life. Academic skills not explored through project work is taught using the 100 languages approach by our teachers. This means that skills and knowledge are taught in many different and unique ways. Art is used as a vehicle to learn symmetry. Music is used as a vehicle to learn social studies. Gardening is used as a vehicle to learn and apply mathematical concepts. All information taught by teachers is done in a multi-sensory way and children are given ample opportunity to apply the skills and knowledge through a variety of engaging and rich experiences. Ultimately, all areas of academic work are deeply intertwined and approached with a sense of connection. Math is present in art, gardening, and cooking. Reading is present in history, poetry, and science. Science is present in art, food, and music. The study of math is approached with passion and a sense of awe. We understand that learning math is far more than just rote memorization or the mastery of algorithms. Children need to truly understand numbers and their relationship to each other. Our students are given ample time to truly master concepts. 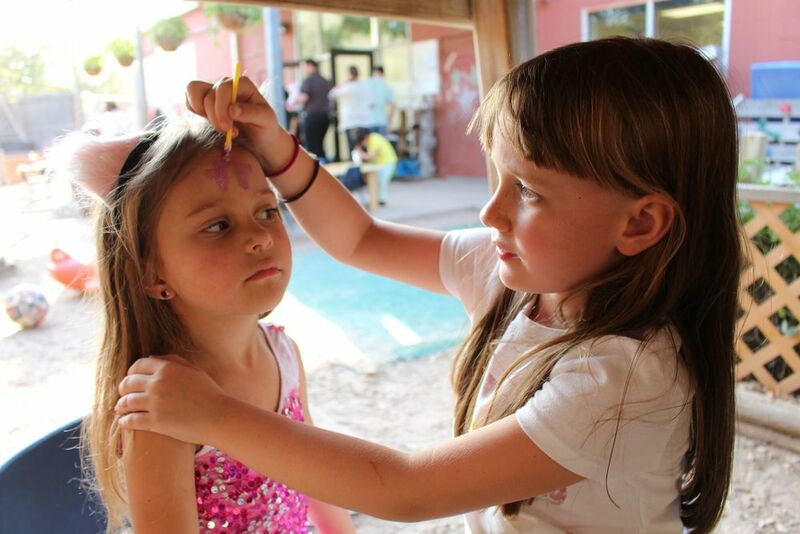 We provide our children with a variety of rich experiences that allow them to make these connections and construct their own knowledge. The more hands-on experiences we provide, the more skilled our children become at determining when and how to apply the most effective and efficient mathematical tool for any situation. The benefits of building and construction are countless. It is also critical for children to work together and teach each other. Time is precious gift given to our students. Our math program is heavily influence by Piaget and the constructivist model of learning. We have a strong and multifaceted reading and writing program. Our goal is for children to be excited about both! Aside from implementing specific learning strategies for reading, it is important to us that our children connect reading and writing to real life situations. Anything they learn in our school should be purposeful to enrich their lives. Reading and writing is also integrated into the children's project work. Additionally, the love of reading is central to our goal for the students. The teachers carefully select books that will passionately engage the children and they share these books with the children through shared reading and read aloud. The children and teachers discuss, reflect, and dissect these books. Our children truly love books and the amount of learning and perspective they gain is immeasurable. A special even we host every year is an annual Poetry Art and Dessert Night. 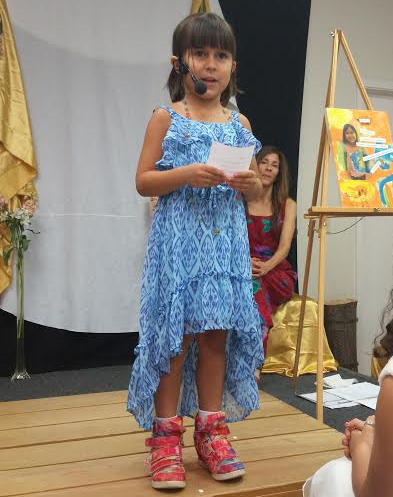 This is a memorable and intimate evening where parents read a poem they wrote for their child and the children read the poem and display the artwork they created during their self portrait study. We come together as a school to celebrate all of our families. This is a special evening that builds community and offers everyone a wonderful experience through the power of poetry! The subject of science is essentially the study of life. What a captivating subject for young people! This broad subject begs to be learned through being immersed in it. Our students do the work of real scientist: they observe, record, reflect, experiment, analyze, compare and communicate. Our children are not taught isolated scientific facts, but rather they discover them on their journey through project work. We strive to create a scientific mind in our children. We want them to question, experiment, reason, and use critical thinking in all they do. We support them as explorers of their world. We take field trips whenever possible and consult expert. Art is a fundamental tool used and enjoyed by the children everyday. The atelieristas work closely with elementary teachers so they can support the children's learning of various academic subjects. Art opens the door for countless opportunities for the children to learn and reinforce academic subjects, gain perspective about the world and human behavior, learn history, and engage in open ended, personal self expression. Every year, the elementary children complete a "self study portrait". This yearly project is a time for them to reflect on themselves and who they are. It is a powerful project centered around self acceptance, self awareness, and self expression. 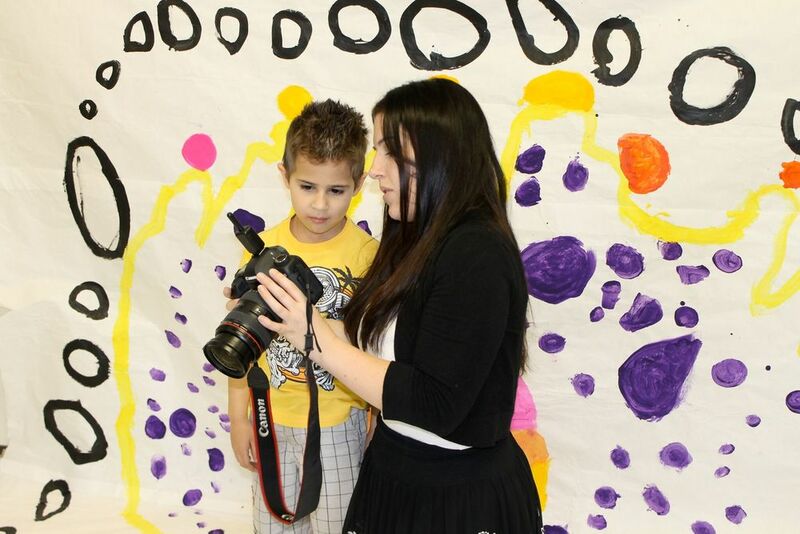 The children work with various professional artists from their community. When outside professionals come to our school, they work with the children one on one to ensure the children's vision comes to life. Please read more about the Self Portrait Study. 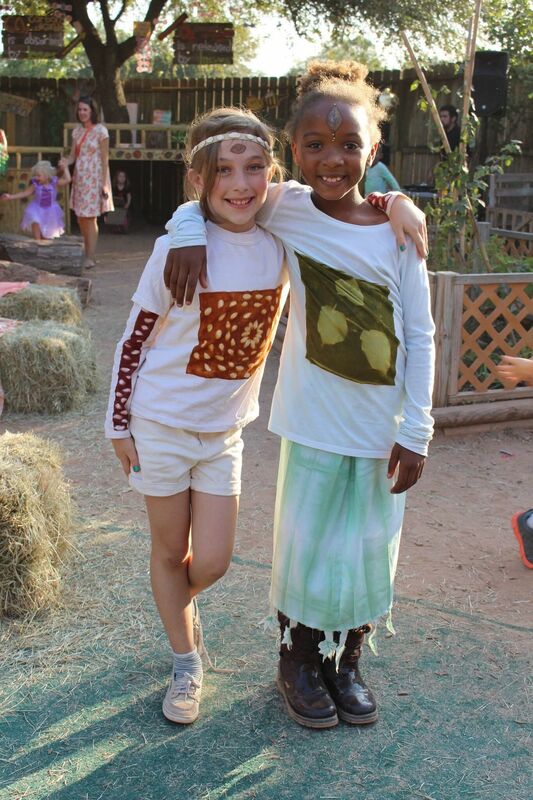 Every year the school hosts an annual Fall Festival. 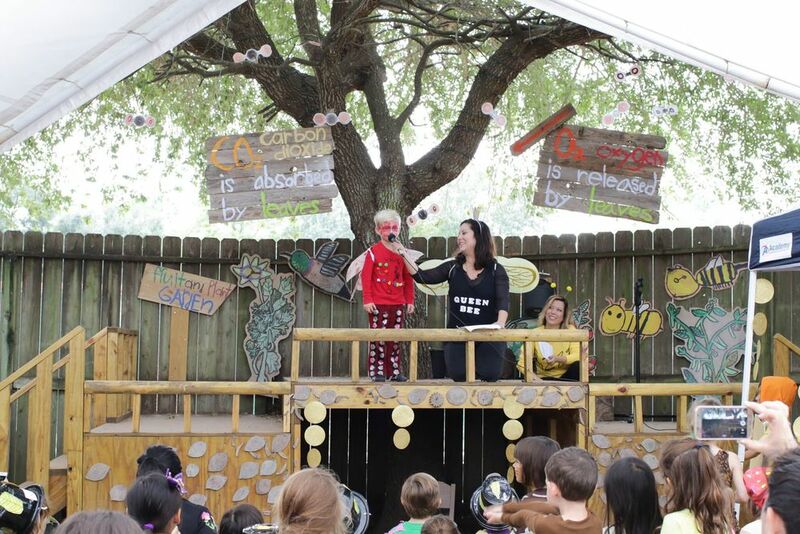 The elementary students use the festival as an opportunity to educate their community by creating a theater presentation of their major project work. The children design and make costumes, work with Think Tank sound engineer, Hiram Trevino, to create an audio representation of their knowledge, make props, develop a play, and much more! The process of creating the Fall Festival is steeped with creativity, team work, and the application of various skills and knowledge. The Fall Festival is also an excellent opportunity to allow parents and the community to see the children's knowledge and ideas.